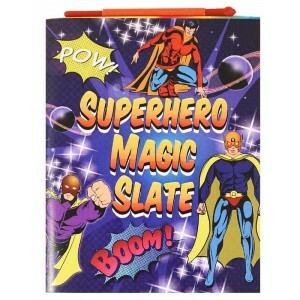 Fun Stationary Magic Slate – Superhero. Magic Slate is perfect for young children. No mess, no waste paper. 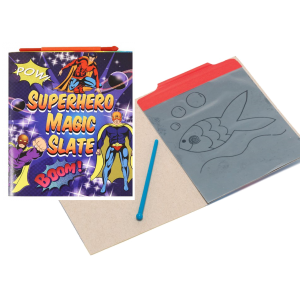 To use: draw a picture on the specialised film cover and to erase lift cover and the picture goes away. Comes with plastic drawer. Great for party bag filler. 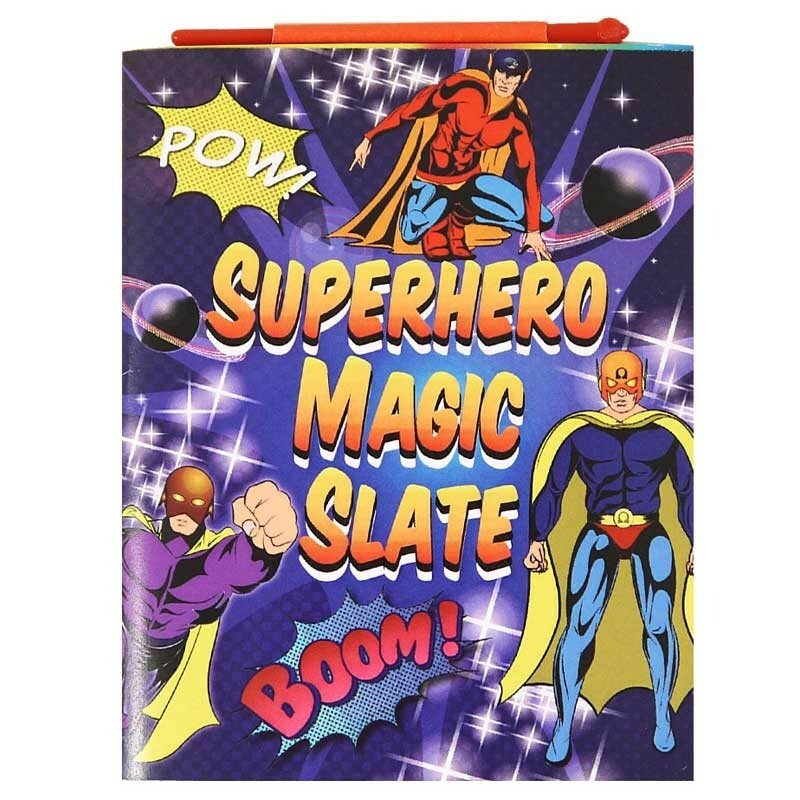 FUN STATIONERY BOOK FUN SUPERHEROGreat party / loot bag filler﻿ Fun Toys Puzzle Book - ..